Six drivers, two race cars: that’s usually what Corvette Racing fans watching the broadcast of the 24 Hours of Le Mans see on their screens throughout the race. 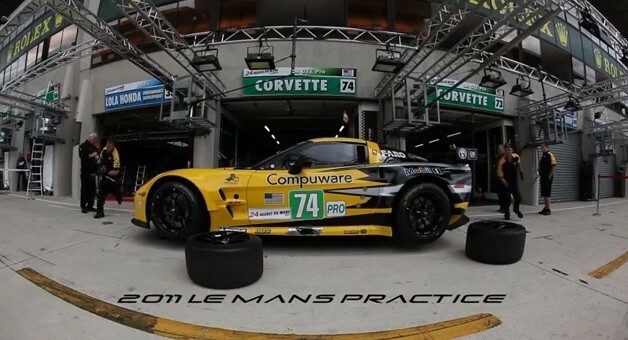 But what they don’t see may be just as important, if not more so: the rest of the Corvette Racing team. The pit crew, for instance, performs 23 pit stops during the course of the 24 hours while an entire staff do the necessary legwork beforehand such as setting up the IT infrastructure, organizing parts for the pits, and preparing food — all of which are a vey important to be successful at Le Mans.